We supply an extensive range of identification equipment and id card products. No matter where you work or what you do, there is likely a need for identification cards and security systems. If you require a solution just for visitors or for your employees, it is important that they can be easily identifiable for security reasons. We don't just print ID cards! We can print other types of cards for you including membership cards, loyalty cards, library cards and season ticket cards. 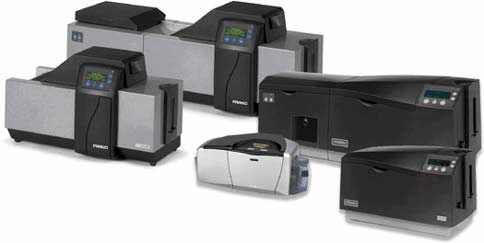 We supply a fantastic range of ID card printers from all the major brands including Zebra, Smart, Evolis & DataCard from entry level, low-cost solutions right through to high security printers with all the encoding options, consumables and accessories. We also provide replacement printer ribbons so you can quickly and easily produce ID cards as and when you need them. We stock a huge range of ID card accessories such as printed lanyards, badge clips and badge holders.